Nury Martinez is the only female among Los Angeles' 15-member City Council. As Hillary Clinton makes headlines as the first female presumptive presidential nominee for a major party, there's an interesting contrast in local politics. 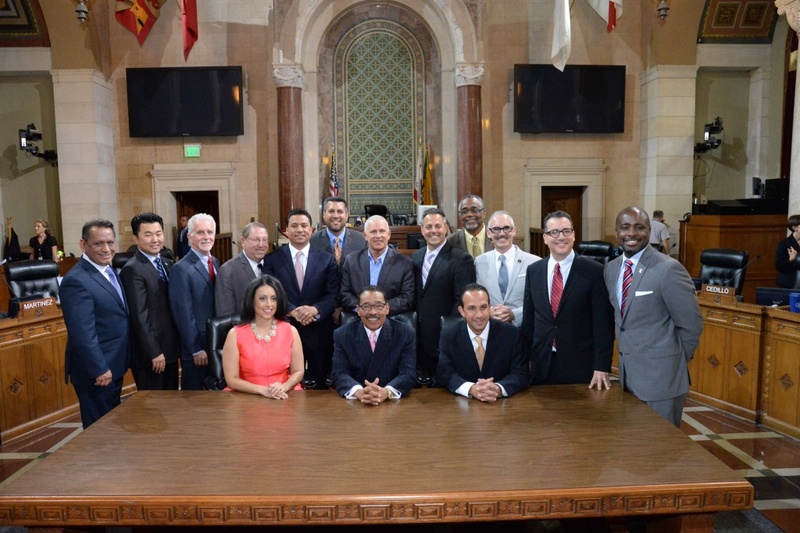 Among the 15 Los Angeles City Council members representing nearly 4 million residents, Nury Martinez is the only woman. "I am embarrassed I have no explanation," Martinez said of the numbers. "People are in shock that [in] the second largest city in the country, we have this gender issue in Los Angeles." The picture around the state isn’t much better when it comes to gender equality. Only about 28 percent of city council members in California are female and the California Legislature ranks 21st among the states for the number of women holding office. Those numbers are likely to decline slightly after the November election as women are projected to lose to men in a few races, according to Rachel Michelin, executive director of the nonprofit California Women Lead. Clinton's probable nomination and talk of adding Massachusetts Sen. Elizabeth Warren to the Democratic ticket as the party's vice presidential candidate are raising the profile of women in politics, but that isn't happening fully in California. "We’re not seeing that trend here that you might be seeing at a national level," Michelin said. Debbie Walsh, director of the Center for American Women and Politics, watches the number of women in politics across the country. In state legislatures, she said, the numbers have stagnated, with 24.6 percent of 7,383 seats held by women. But stark gender imbalances are not something Walsh said people might expect from a state like California, which was the first to send two female U.S. senators to Congress simultaneously. “It’s sort of surprising because California has always been seen as a trend setter,” Walsh said. Of California's 53 U.S. House seats, only 19 are held by women, according to 2015 figures from the Center for American Women and Politics. Women tend to contribute to political campaigns at lower rates than men, Michelin said. "We don’t always write checks. When you look at who contributes money to political candidates regardless of what office they’re running for, typically men will write bigger checks," she said. Michelin said compared to many other offices in the state, running for the Los Angeles City Council is highly competitive and very expensive. Female candidates also play a role. 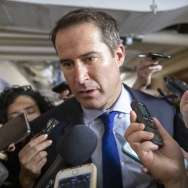 They tend to be less experienced in fundraising, and smaller Rolodexes mean fewer people to call for campaign contributions. L.A. Councilmember Martinez said she’s faced sexism many times over more than a decade in office. She remembered seeking an endorsement from a group when she was pregnant and running for a seat on the Los Angeles Unified School District board. "A woman in the audience said to me, 'You’re eight months pregnant. Aren’t you better off staying home and raising your child?'" Martinez said she couldn’t believe what she was hearing. "I said, 'Ma’am, how many male candidates have you asked that question of?'" Martinez recalled. "'You only ask that of women?' And she said, 'Yes.'" Martinez didn’t get the endorsement that day, but she did win the election. Research shows that when voters don’t have enough information on candidates, they rely on gender stereotypes. That’s why aspiring politicians are affected more than say someone well-known like Hillary Clinton. "This might be most important when they don't have an easy cue like party," said Kim Fridkin, professor of political science at Arizona State University, speaking about voters. "So in nonpartisan elections, it could be that these types of gender stereotypes would play a more significant role." Burbank resident Mirai Booth-Ong voted in the California's primary earlier this month and she admits she considered gender in deciding who to support. "I do consider gender when I’m voting. But I’d love to not," she said. Booth-Ong explained she wishes the number women in politics was on par with men and that gender was a non-issue. But research shows they're not there yet. Male candidates are often favored by voters for their perceived strengths in handling issues like the economy, for example, while female candidates are seen as strong on issues like education. Voters will get a chance to influence the fate of women candidates in elections this year from the top of the ballot to the bottom. Of high interest will be the race between two female Democrats, Kamala Harris and Loretta Sanchez, who are seeking the seat being vacated by retiring U.S. Sen. Barbara Boxer. L.A. County voters will also decide the gender balance on the influential L.A. County Board of Supervisors in November. Two female candidates, U.S. Rep. Janice Hahn and Kathryn Barger, are front-runners for the board seats now held by supervisors Don Knabe and Mike Antonovich, both of whom are termed out. If both Hahn and Barger win, L.A. County could have the only board of supervisors in the state with a female supermajority.